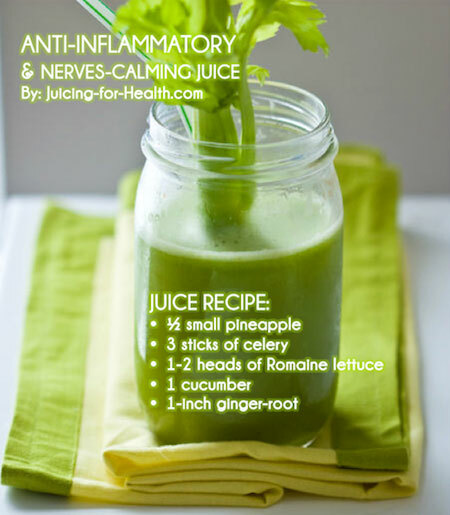 I love using pineapple for my green juices. Not only does it give the juice a nice fragrant, tastes thick and delicious, it is high in anti-inflammatory properties that are just so helpful for repairing damaged cells from our daily exposure to free radicals. Use 2-3 green apples in place of pineapple, if you cannot or don’t wish to use pineapple. This juice is also very calming to the nerves, a beneficial drink for relieving stress, and for a good night sleep. Drink early evening on an empty stomach before eating your light, healthy dinner. 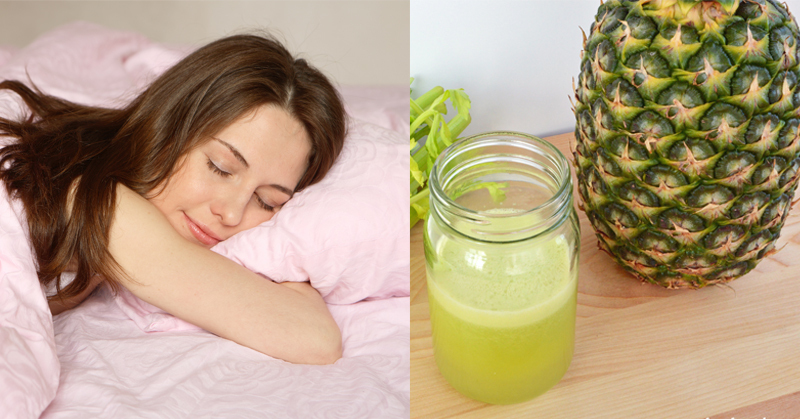 Read more about the healing properties of pineapple here. Is the Anti-Inflammatory & Nerves-Calming Juice safe for a 4 year old toddler with Cerebral Palsy? Thanks a lot.